Do you wish your non-profit had a team of donors who gave a gift every month, year in and year out? 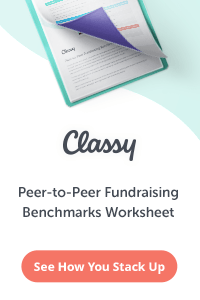 Are you looking for ways to lower your fundraising costs while making your income more predictable? Would you like to build long-lasting relationships with donors in an easy and cost-effective way? If the answer to any of these questions is “yes,” then I invite you to join me for the next four weeks to lean how… through The Fundraising Authority’s newest class: How to Build a Monthly Giving Program at Your Non-Profit. Monthly giving programs allow your organization to collect a certain amount from your donors’ credit cards or bank accounts every month to support your work. With these programs, your donors preauthorize your non-profit to withdraw a gift every month, and your non-profit reaps the rewards of having a stable base of recurring income that comes in every single month, without you having to make calls or send out reminder letters. Monthly giving doesn’t just happen – in order to launch a program at your non-profit, you need to put a strong system in place and implement a plan for getting donors and prospects signed-up for the program. This class will teach you everything you need to know to implement a successful program at your organization. 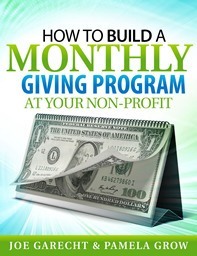 How to Build a Monthly Giving Program at Your Non-Profit will run from Monday, March 25th through Friday, April 19th. The class runs completely online, and all materials will be delivered electronically. Every Monday, you will receive (by e-mail) comprehensive class guides and worksheets covering that week’s topic. You can read the guides on your computer, smartphone, tablet or e-reader, or print them out to read at your convenience. Learn everything you need to know about setting ask amounts and benefits, launching giving clubs, and more. Learn how to write and design your monthly giving direct mail or e-mail campaign appeal. Week 3 – Special E-Book – This week, you will also receive Pam’s book of successful direct mail and e-mail appeal letter samples, which will provide you with excellent templates for writing your own monthly giving appeals. Understand the best strategies for stewarding your monthly donors and growing your monthly giving program. Get tips on how to add new monthly givers on a regular basis and how to increase your gifts from current members. 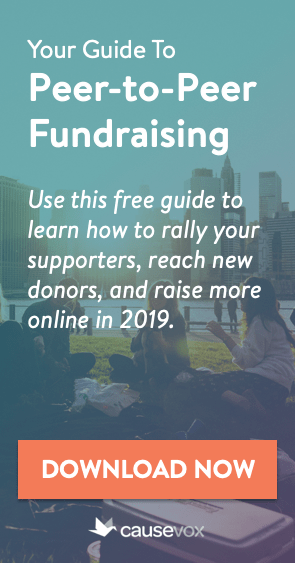 Week 4 – Special E-Book – This week, you also get a copy of Joe Garecht’s Easy Ways to Keep in Touch with Your Donors, a guide to building strong donor stewardship through excellent donor communications. Monthly giving is the “holy grail” of non-profit fundraising. Organizations with strong monthly giving programs can count on a strong base of donor support month to month and year to year. Building a monthly donor program should be one of the key goals of any non-profit. How to Build a Monthly Giving Program at Your Non-Profit is designed for both those new to fundraising and monthly giving programs as well as seasoned development pros who want to know how to strengthen and grow their monthly giving program. Non-profit founders, Executive Directors, Development Directors, fundraising staff, board members and volunteers will all benefit from this four week class. One of the best things about this class is that you can read the course materials from the comfort of your own home or office. Instead of having to take time off to go to a full day seminar, you can learn everything you need to know about monthly giving programs right where you are. And – you have lifetime access to the class materials! So even if you can’t go through all of the class materials right now, you can read and listen at your leisure. There are no tests or quizzes, only solid information that you can review whenever you are ready, with lifetime access to the course pages. The How to Build a Monthly Giving Program at Your Non-Profit class is being co-presented by Joe Garecht and Pamela Grow. Joe is the founder of The Fundraising Authority and has spent the past 15 years helping organizations raise more money. He has personally raised tens of millions of dollars to support causes worldwide. He is the author of Raising Money Without Going Crazy and The Non-Profit Fundraising Formula. 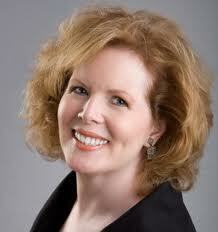 Pamela is a well-known fundraising author and consultant and the author of Simple Development Systems. She has been helping non-profits raise dramatically more money for over 15 years, and was named one of the 30 most effective fundraising consultants by The Michael Chatman Giving Show. Together, Joe and Pam want to help your non-profit create, grow, and sustain a strong monthly giving program that will raise the money your organization needs to thrive. 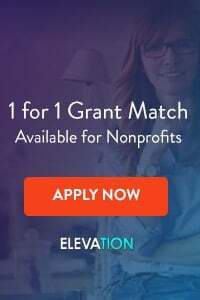 If you have a team of people working with your non-profit and you would like them all to participate in How to Build a Monthly Giving Program at Your Non-Profit, there is no extra charge for additional team members. If you want your entire development team or board of directors to have access to the class, all you need is one class registration, and we will send the electronic class materials to as many members of your team as you would like. All participants in this course will have direct e-mail access to Joe Garecht for questions about the course materials and how they apply to your non-profit. Ask one question or one hundred questions… Joe is here to help your organization succeed. When you register today, you can participate in the entire class, including all of the written guides, webinars, e-books and more… plus two bonus items… for an investment of just $77. Special Bonus #1: Every class participant will receive a transcript of Pamela Grow’s exclusive interview with monthly giving expert Harvey McKinnon. Harvey is the author of Hidden Gold: How Monthly Giving Will Build Donor Loyalty, Boost Your Organization’s Income, and Increase Financial Stability. In this interview, Harvey gives great insights on how your non-profit can raise more money than ever before through a scalable monthly giving program. Special Bonus #2: Every class participant will also receive a recording of Pamela Grow’s webinar How to Grow Your Monthly Giving Program with monthly giving expert Erica Waasdorp. We know that How to Build a Monthly Giving Program at Your Non-Profit is the single best course available on how to develop and grow a monthly giving program for your organization. Not only will you be satisfied with this course, you will be raving about it to your colleagues and friends at other organizations. 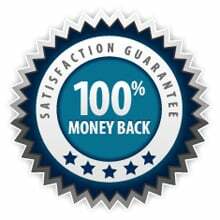 If, for any reason, you are not satisfied with the course, you can stop taking the class at any time and receive a full, 100%, no questions asked refund. That’s our guarantee to you. You will love this class, and it will make a huge difference for your non-profit organization. Have other questions about the class? Click here to see our Frequently Asked Questions about Fundraising Authority Classes. Because this class begins on Monday, March 25th, we will need to close registration this Friday, March 22nd at 7 PM. Once registration closes, we will not be able to accept any new participants, and instead, will be focused on working with class members. Be sure to sign-up now to gain access to the class. Sign-Up and Start Building Your Monthly Giving Program Today! To register for How to Build a Monthly Giving Program at Your Non-Profit and receive all of the class guides, webinars and bonus items for just $77, click here: Registration for this class is now closed.